Audubon de México AC recognizes that a healthy environment is critical to the survival of all living beings. 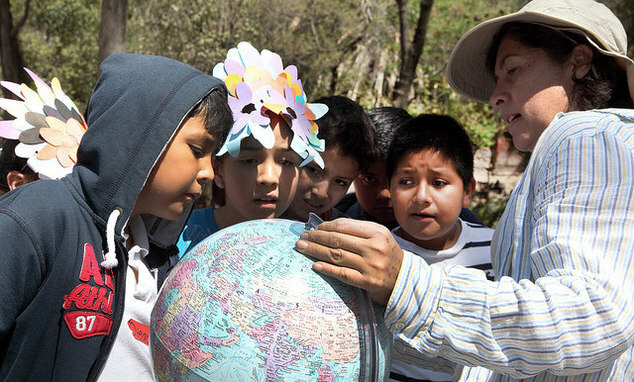 Through education, conservation, and recreation they engage people in acts of environmental stewardship to ensure quality of life in San Miguel de Allende – for today and as a legacy to the generations to come. Our region is under ever-increasing environmental stress, and therefore risk. As a result there is a great need for action-oriented environmental programs in San Miguel that help people become a part of the solution. Audubon’s Ninos y Naturaleza program takes over 300 grade school children on a journey into the world nature as viewed through the eyes of a bird and helps empower them to make a difference in the world by providing formative experiences that stimulate their sense of empathy, connectedness, wonder and appreciation and leads to changing their perspective of themselves and the world around them forever. Their Nature in the City program promotes community participation in creating urban habitat gardens to provide wildlife with refuges so they may continue to thrive and beautiful spaces for people to engage with nature. Amigos de la Presa is an Audubon program that draws attention to our water resources by getting people out on the Presa Allende to see for themselves its intrinsic value and the challenges we must overcome. It promotes community action in protecting our waterways and sustainable solutions for managing our fragile water resources. Your support will go far in helping Audubon continue providing these meaningful programs that draw people onto the path to a sustainable San Miguel. Working with children AND the environment! What could be better! I am registered and would like to vote but I dont get it... Need help! If you want to see specific help on how to vote, first see: Polls and Voting. Please help support all the good work of Audubon!